Tomorrow’s match with Port Vale is Morecambe’s first outing since the loss at MK Dons a week-and-a-half ago. 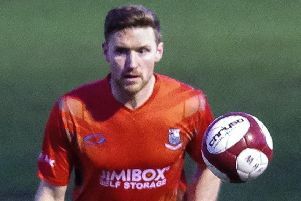 They would have been in action last Saturday – and live on television – had they managed to beat FC Halifax Town in their FA Cup first round replay. Watch as manager Jim Bentley discusses their unwanted pre-Christmas break.